Lions and luminaries who led the changes in utilities. Those ten individuals who had the greatest hand in molding the electric utility industry of 2016. A Formula for Grid Modernization? Ann McCabe is a commissioner at the Illinois Commerce Commission. The views expressed in this article are her own. 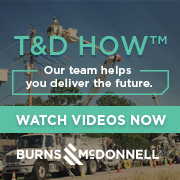 Five years have passed since Commonwealth Edison and Ameren Illinois elected to participate in the Energy Infrastructure Modernization Act, which authorized $3.2 billion in grid hardening and smart meter investments. As a commissioner at the Illinois Commerce Commission, I am often asked: How is it going? It’s not personal. It’s just business. With coal’s troubles piling up, so too are stories about the industry’s “bleak” future in the United States – a casualty of cheap natural gas, thinning coal seams, and the pursuit of lower-carbon alternatives. Just as conspicuous: utilities, which have long allied themselves with the coal developers, are retiring their older coal units in droves. The Massachusetts Department of Public Utilities found it’s unnecessary at the current time to require electric utilities to enter long-term contracts for power supply to address forecasts of insufficient peak-load requirements in the state. The department said that requiring electric distribution companies to enter into long-term contracts with generators would be proper only if there was convincing evidence that the competitive market has failed and that there are imminent reliability concerns.